If Facebook’s endless privacy scandals have shown one thing, it’s that the company has far too much data on its users, and that they can’t be trusted not to sell, barter, or abuse that data whether for profit, growth, or negligence. While individuals have long been rallying around #DeleteFacebook, there hasn’t been a comparable campaign for business. Enter: The Facebook-Free Business. In short, that the business does not use Facebook or its subsidiaries in any way shape or form to operate, further, or conduct itself. Now, some businesses are more dependent on Facebook than others, so it’ll be easier for some to go Facebook Free than others. That’s ok. All social movements have their innovators, early adopters, late adopters, early majority, and late majority. It’s up to each business to decide where on the adoption curve they could possible fit in. Or, of course, whether they’re fine funding Facebook’s continued operations with their patronage forever. It’s also true that the lines aren’t clearly defined around what ultimately constitutes corporate behavior worth distancing yourself from, like Facebook Free is doing. But we don’t have to solve that riddle before we take action against companies that have clearly crossed the line, wherever that may be drawn. At Basecamp, we’ve decided to go Facebook Free from today. If you’d like to join, either today, tomorrow or next year, just comment on this post, and we’ll highlight credible pledges for all to see. 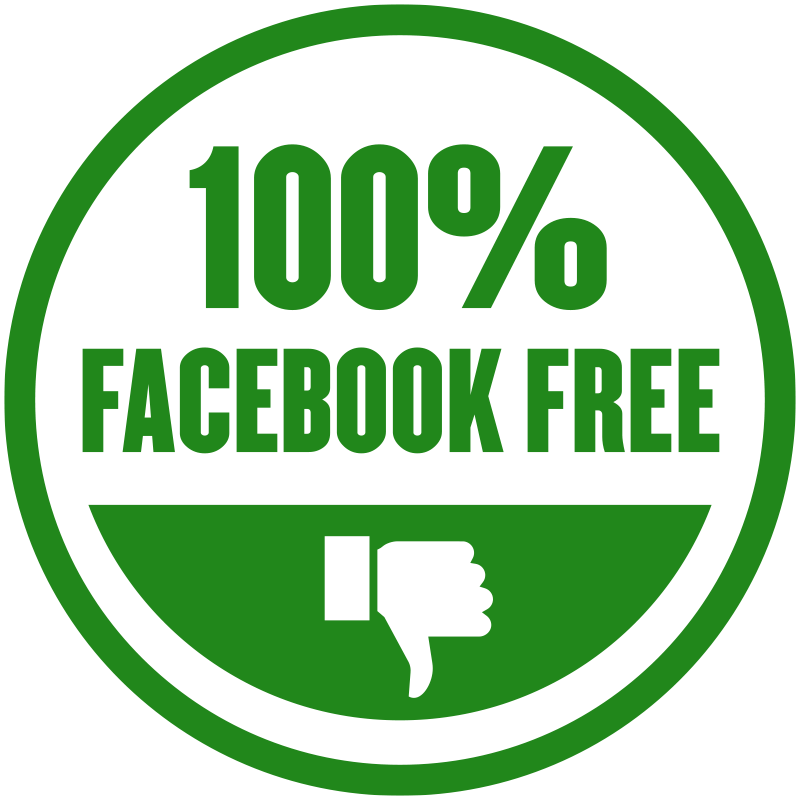 You’re also free to use the 100% Facebook Free badge that we’ve released under Creative Commons (CA BY-SA 4.0) and have it link back to this page. Done. Thank you for championing this Facebook (Instagram) Free movement! Now this is an idea I can get behind. We at WCRBKARATE.COM have adopted the concept and now are Facebook free.